Your child will enjoy thinking of new uses every day for this generously sized, plastic cart, perfect for indoor or outdoor use. Assembling with ease, the sturdy wheels and handle make it fun to move favorite toys, games or collections to a different location. 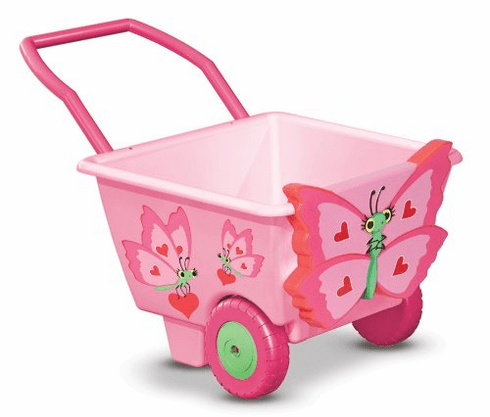 With Bella Butterfly decorating the sides, this cart is handy and stylish.